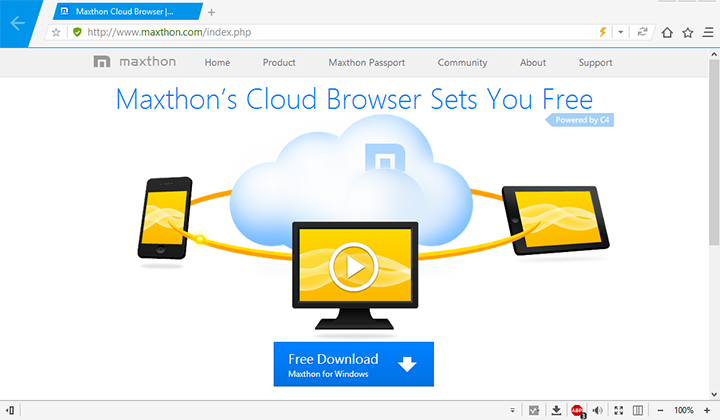 Hello there, It's just another Nitro UI skin port for Maxthon, this skin was built to be a look like Mx Nitro. * Background image which use for the Nitro UI Dope preview. Revert ABP menu to default state. Some adjustment with the latest MX 4.4.4.x UI framework. Remove unecessary things (ABP social sharing, etc). Minor fixes for some annoying things (Overlap site-safety icon, lock tab icon, private/incognito layout etc). End support for MX 4.4.3.x (due to the different UI framework with the latest MX 4.4.4.x). Add some hover function implementation (eg. autohide quicktools, bookmark, and sidebar). Minor fixes for some mismatch color. Remove unecessary part (eg. annoying social sharing on adblock panel etc). 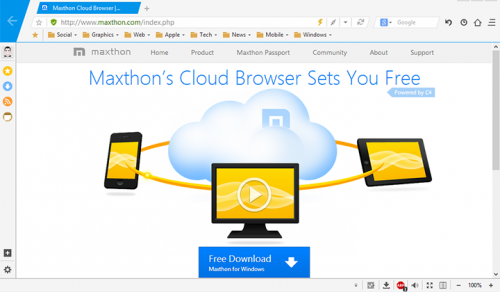 Add support for MX Cloud 4.4.3.x version build. Some adjustment from MX Nitro 1.0.0.3000. Minor fixes for some glitch and odd layout. For skin with auto hide features. 1. Hover the menu button to show the quicktools. 2. Hover the big back button or sidebar button on bottom left corner to show the sidebar. 3. Hover the left address bar to show bookmark. Due to this skin was built to be a look like Mx Nitro, any suggestion or request from user which is not related to the purpose will be ignored. If you have a problem/issue with this skin, feel free to let me know. 1. Maxthon Ltd and the dev. 2. 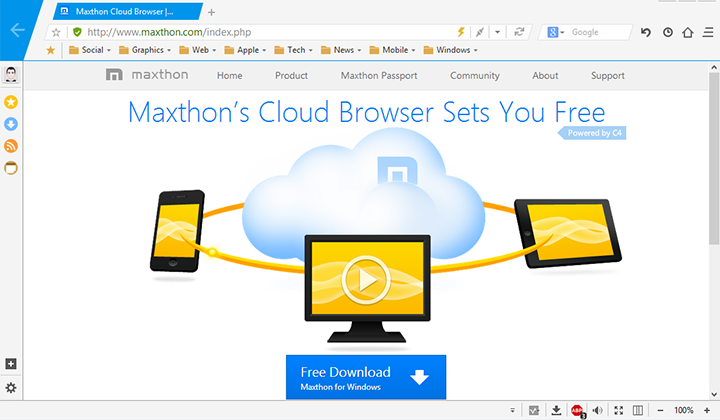 All Maxthon forum community member. Nice, but I can't see the Quick Tools bar at all - but I need it! What about that? Sorry for the inconvenience. In addition to be a look alike the latest MX Nitro version, the quick tool panel button and the download panel button were merged into the status bar. This skin looks good, but it´s possible to make black version too? a black version like this? Hi, thanks for your feedback. Can you be more specific? Or maybe you have an idea to make something seem better than it is? #Nitro UI v1.1 update. It's a bit more lightweight. 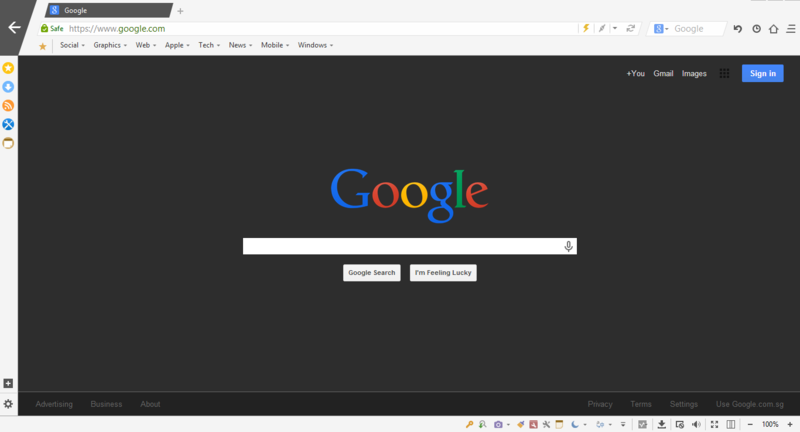 Great job, but can you make version with toolbar please? If you're looking for the quick tool feature, take a look at the status bar and you'll find it. Quick tool, but I have hidden status bar, it only takes up space. Same with me, I've hidden status bar too but hell yeah.. Quick tool seems important. Is it possible if Quick tool be made beyond the status bar or maybe there's an option or setting for that, so I can use Quick tool without show up the status bar? Thank you. It's my bad, I was forgot to make it more user friendly for singlebar user. I'll update ASAP. Yes, it's possible. I think I will add with some hover function implementation. Thx for the feedback, I'll update this Quicktool issue later. #Update | Nitro UI v1.2. - Add some hover function implementation (eg. 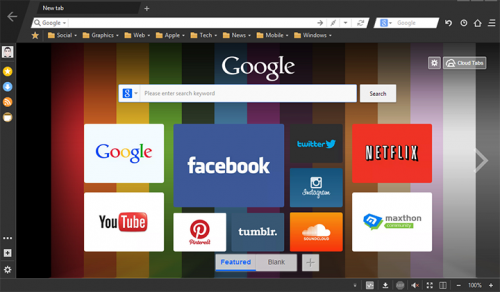 autohide quicktools, bookmark, and sidebar). - Minor fix for some mismatch color. - something else (I don't remember). 4. Hover the left address bar to show bookmark. - Check the 1st post. Really good work, thanks for hover actions! 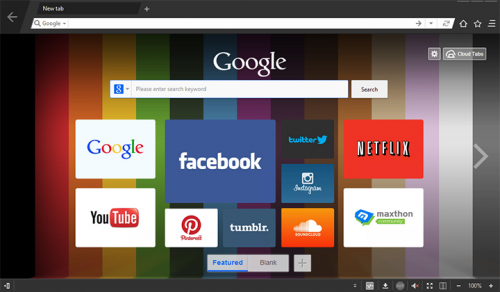 Black and blue are a minimalist skin concept from Nitro, in which adapted towards the Maxthon Clouds. It's just a bit of colour variation, not completely blue or black at all. For the dope/dark version of this skin, you can check the 1st page. They disappear when I hover them. Maybe because the hover colour is the same with status bar text colour. Well, Have you ever tried the MX Nitro and check the close tab button behaviour on there? The close tab button at this skin is same behaviour like on MX Nitro. It only appear when on mouse hover and disappear when not on mouse hover. There's nothing wrong with it. Sorry, I'm not interest to make unecessary change to fulfill your request.